With shimmering lakes, peaceful surroundings and comfortable, high quality homes, it is only logical that the village of Sonoma at Fiddler’s Creek should attract such interest. One of the more recent residential developments, Sonoma offers the homebuyer everything expected in a family residences. 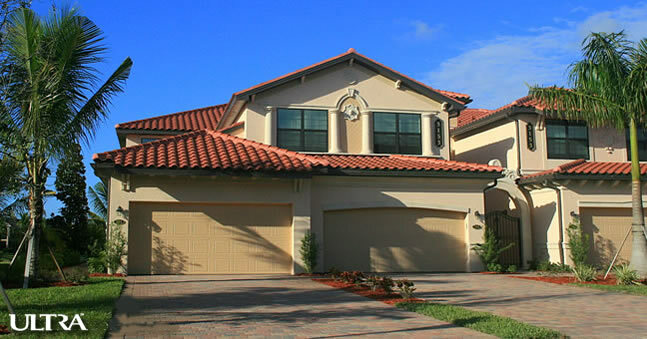 Built by LENNAR®, owners are sure to enjoy the quality construction and fantatic attention to detail. Sited in the southwestern corner of the Aviamar residential zone, the Sonoma community backs onto a lake in an area that is already famed for its relaxed lifestyle. But with the Fiddler’s Creek Club & Spa just a mile west, Sonoma condo residents have easy access to fine dining, a resort-style family swimming pool, superb recreational facilities and, of course, the nationally acclaimed Creek Golf Course. What is more, US 41 runs just a stone’s throw to the east, offering a direct route to the world-class shopping and night life of the city of Naples, as well as access to a range of activities on the Gulf of Mexico, there is no shortage of options for residents. The Sonoma community comprises of 11 coach house-styled buildings, each of them with just four condo units. Built in a classic Mediterranean architectural style, the Sonoma condos boast of every luxury, including spacious living spaces, large modern kitchens, stylishly designed bathrooms and covered patios. 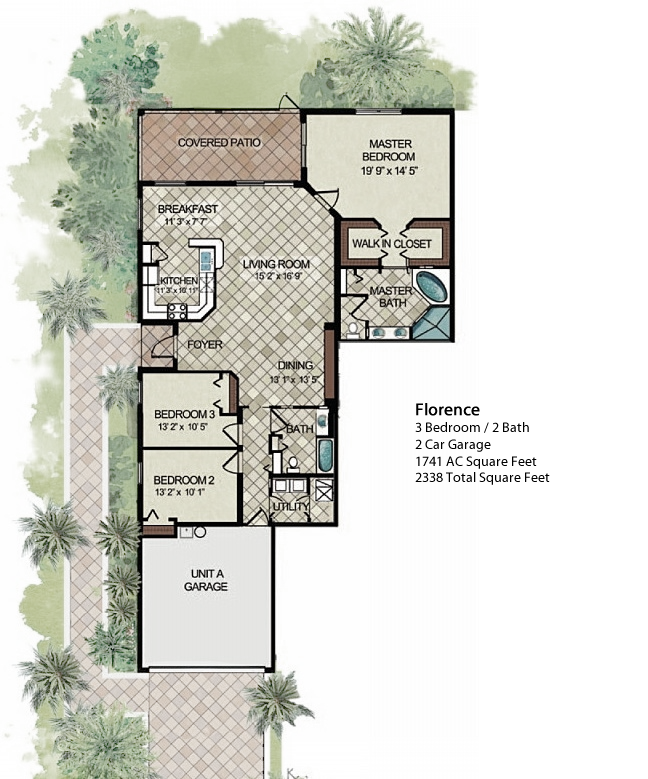 Florence is a 1st-floor condo covering a total area of 2,338 sq ft, with 3 bedrooms, 2 bathrooms, spacious living area, covered patio, and 2-car garage included in the floor plan. Verona is the largest Sonoma condo. A 2nd-floor residence, it covers a total area of 2,858 sq ft, with 3 bedrooms, 3 bathrooms, spacious living area, covered patio, and 3-car tandem garage included in the floor plan. For more details on Sonoma at Fiddler’s Creek and life in the Sonoma community, just call us.